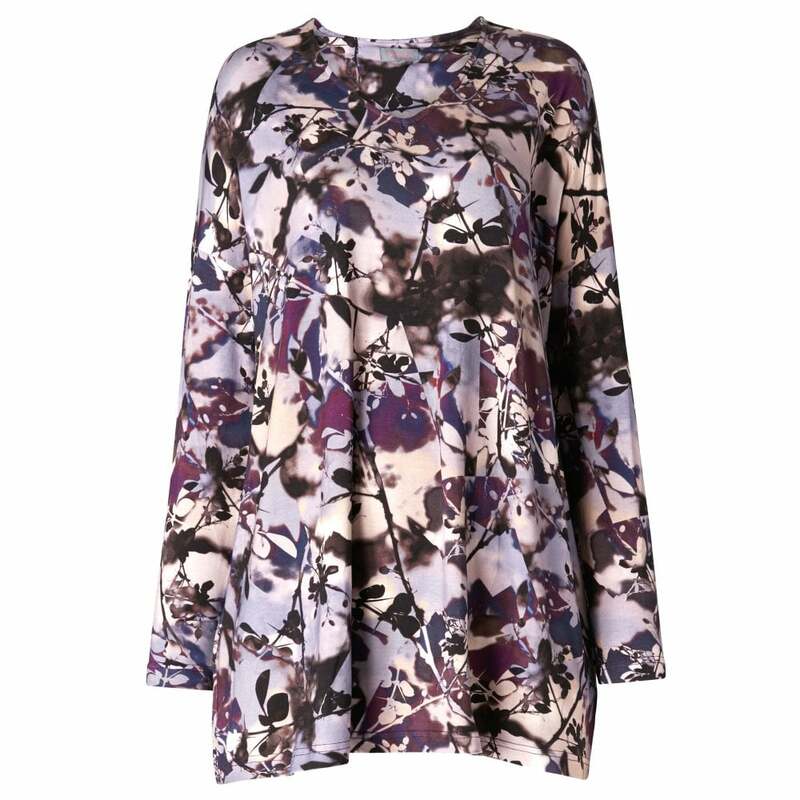 Created using a beautiful shadow floral print in shades of lilac, damson, pink and black this boxy top is perfect for this season. Designed using a stretch viscose it flows beautifully over the body, stopping just below the hip. The v-neck perfectly frames the face, and looks beautiful with a statement necklace.